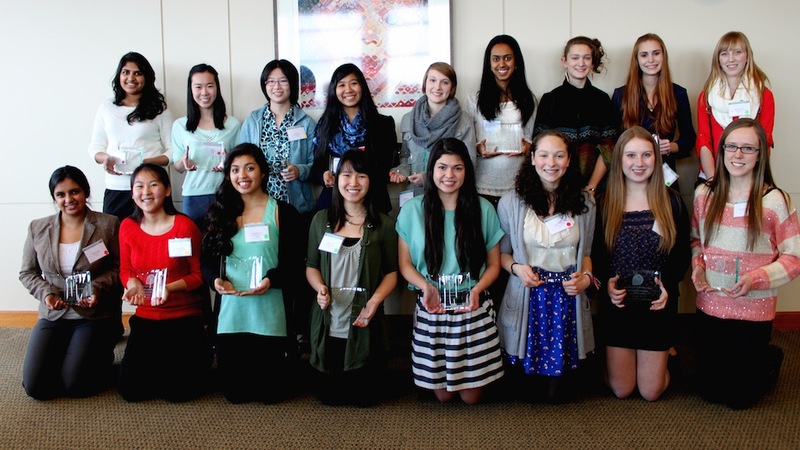 On February 23rd, twenty high school women from Washington state were honored at UW CSE with Awards for Aspirations in Computing from NCWIT, the National Center for Women & Information Technology. 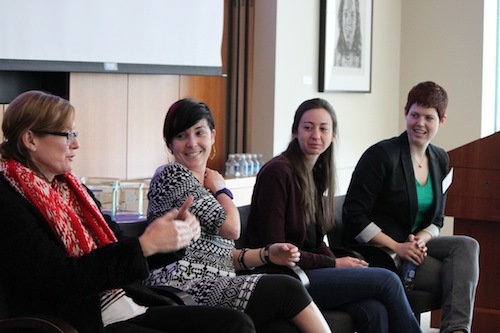 We were also joined by Krista Holden, the national award winner from Washington state, and by Ruthe Farmer, Director of Strategic Initiatives at NCWIT. 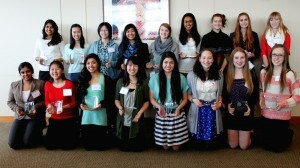 The NCWIT Award for Aspirations in Computing honors young women at the high school level for their computing-related achievements and interests. Awardees are selected for their computing and IT aptitude, leadership ability, academic history, and plans for post-secondary education. We also recognized Sam Procopio, CS teacher at Holy Names, as the Washington State Educator Award winner. He currently has 54 young women enrolled in his AP Computer Science course and will have 70 next year! Ira Kemelmacher-Shlizerman gave a fantastic keynote. Steph Burg from Microsoft, Krista Davis from Google (UW CSE alumna), Lilia Gutnik from Socrata and Callie Neylan from Microsoft were a great career panel. 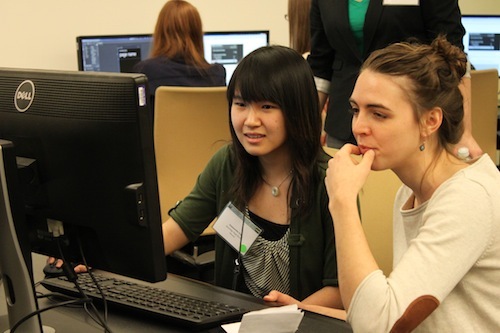 Steph Burg, Katie Kuksenok and Franzi Roesner led fun hands-on activities for the girls. Jenny Abrahamson, Ally Gale and Zorah Fung led the girls around the building. Alyanna Castillo photographed the event. Ed Lazowska spoke to the parents. And Hélène Martin, as always, organized everything! Thanks to all who contributed! And many thanks to Google for sponsoring this event. Congratulations to the award recipients, their parents, and their teachers. We hope to see you as UW CSE students soon!